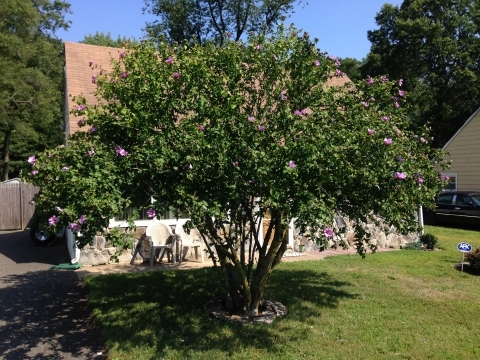 Rose of Sharon is an erect, deciduous shrub growing 2 - 5 metres tall. E. Asia - China to India. Locally naturalized in S. Europe. ]. No further details are given, but it is likely to be edible. Cuttings of half-ripe wood in a frame.